HostMonster : With a monthly fee of $3.49, HostMonster provides unlimited websites, free domain, PHP Web Hosting, MySQL, Perl, FrontPage and One click install 100 scripts. It provides cPanel + Linux OS in the lowest price. No wonder why it is deemed as the Best Web hosting company. Bluehost : For best overall web hosting experience, bluehost is the name to choose. Hosting options are from one to unlimited websites. Along with providing excellent support, free domain, simple script installer, MySQL, Perl, Front Page, in house enhanced Cpanel and free online advertising credits are served. Functioning is on cPanel +Linux OS and prices start as low as $3.95. HostGator : Baby plan costs $ 3.96 and monthly billing cycle is available for $ 9.95. The company supplies coupons for its delighted customers for example only 1 cent coupon entitles the customer to pay $ 0.01 for first month. HostGator has been serving international customers and reseller hosting is available. It comes with Fantastico Script Installer and cPanel Linux OS. JustHost : it includes the provision of anytime money back guarantee with prices starting from $5.99. 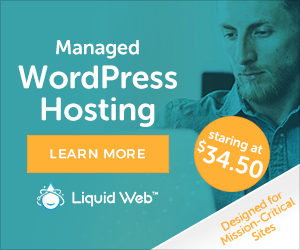 It comes with free domain, site builder, reseller hosting with free cPanel + Linux OS. WebhostingHub : Nitro Plan is valued at $ 6.99 with90 days money back guarantee. Free domain for initial year is offered along with choice of datacenter at East or West. Further, free web builder, premium web backup (cloud) at $ 1 per month and popular scripts installer is offered. GreenGeeks : They are proud to be green hosting company with 300% wind powered functioning. The prices start from $ 4.95. Lastest cPanel control panel, unlimited host domain, Perl, PHP, MySQL, Python are its highlights. Sales and support work is by Americans and monthly payment option is also available. SiteGround : the prices are highest in this compilation with $ 7.95 per month but its features like optional premium support, advance hosting at affordable rate, data center choice at Singapore, Amsterdam & Chicago, PHP, MySQL, Perl, FrontPage, Fantastico script installer and helpful transfer web server make it a worthy deal. All above companies are USA based and they provide cheap cPanel hosting options. Their customer experience is great.